Maritime accidents which affect the environment also affect the public interest, and attract public attention, in ways that other casualties do not. Cargo ships have sunk with their crews in mid-ocean without their fates being accorded more than a column inch of the trade press. Others have made headlines by spilling oil on beaches without harm to human life or limb. Oil spills are generally high-profile events in which many different parties have responsibilities to perform or interests to protect. International laws relating to incident response are primarily concerned with safety and protection of the public interest. Among other things they set out the legal powers of intervention by authorities of coastal states, who will normally monitor (and may direct) the measures to be taken by the master, owners or salvors of the ship, potentially including wreck removal. Difficult questions have sometimes arisen as to how these powers are to be exercised in response to requests for access to places of refuge. International laws also impose obligations on the masters of ships to report incidents without delay to the nearest maritime authorities; and they establish international co-operation in various aspects of oil pollution clean-up. National laws usually amplify the powers of designated authorities to implement national contingency plans, to conduct or monitor clean-up operations, and to investigate the causes of incidents, sometimes with a view to possible criminal charges. These various official functions are commonly carried out by several different public authorities, all of whom may become involved and have various requirements to press. 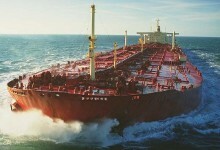 Apart from co-operating with authorities, and complying with any other legal requirements, shipowners and their insurers invariably need to take various other measures to protect the interests of the crew, minimise loss and damage, and manage the many financial implications of the incident. This typically involves dealing with a wide range of parties who have either been engaged to assist them or have interests of their own, such as charterers and cargo owners, and representatives of the media. These different facets of incident response are reflected in different types of emergency plans. Some types of plan are legally required to ensure that incidents are promptly reported and necessary measures are taken in the public interest; other plans are not mandatory but are drawn up for internal purposes to facilitate prompt and effective crisis management. These are common not only among shipowners and insurers but also among charterers of ships, notably major oil companies and other multinationals, in anticipation of issues which may affect them. These topics are examined in further detail in Chapter 25 of Shipping and the Environment, ‘The Response to an Incident – International Conventions’, and in Chapter 26, ‘The Response to an Incident – Position in the United States’.